Moving House at Christmas Time? Christmas holidays are full of celebration and cheer. Families and friends celebrating and being merry. It can also a time that brings some stress with the cheer. And if you are planning on moving into a new home over the holidays then stress levels can reach sky high. Just like a lot of people plan for Thanksgiving and Christmas celebrations, a move needs to be planned as well. Especially when it is over the Holiday season. Believe or not Christmas is a very popular moving time. It may be because of longer holidays or a time for new beginnings at the end of the year. It is possible to keep stress to a minimum and holiday cheer to a maximum with a well thought a move. For instance have all of your Christmas decorations easily labelled and ready to put up as soon as you move into your new home. Think about how you can make Christmas in your new home easy and enjoyable. Follow these tips on Christmas moving to make sure your first Christmas in your new home goes smoothly. 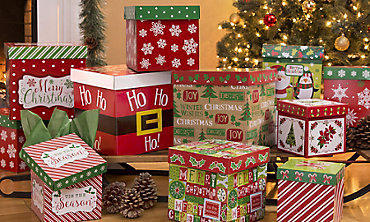 Imagine loosing the box with all your Christmas presents! Male sure that does not happen! Moving home over the Winter holidays needs to take into consideration all the factors this season brings. Keep removal costs low by planning ahead and keep stress levels down also. Check the weather a week before the move. Plan your move around the weather and if able to don’t move on a heavy snow day. Removal companies may have less staff over the holiday time so make sure to book well in advance. Pack well before the move to make the week of the move much easier. There is no need to keep a spare room available in the month before you move. Pack it up and pack other rooms that are not being used everyday. Make a schedule for the two months leading up to the move. One day a week at last should be dedicated to packing up belongings that are no daily use items. It is very important to de-clutter your home before the move. Do not make the mistake of thinking it will be easier to de-clutter during the unpacking process. Not only might you pay less in removal costs with less boxes, but you will making moving into your new home so much easier. Have a box for packing, a box for charity and a box for rubbish. If you haven’t used an item in 2-3 years decide if its for charity or rubbish. De-Cluttering is so worth the effort, it makes your new home clean and organized. It will also reduce your stress and free up your new home of unnecessary items. So don’t just chuck the bits and bobs kitchen drawer in a moving box – go through it and be ruthless. If you are a person that finds it hard to de-clutter, get a friend to help. Having an impartial and subjective person will help to keep you on track. A white Christmas is an American tradition, tobogganing, snowball fights, making a snowman or snow angels. All of these winter traditions are wonderful, but snow does present a hindrance for moving homes. Removal trucks can slip and slide, so make sure you salt your pavement and driveway. Shovel any snowdrift and snow overhang on your entryway. Make sure the movers won’t slip and fall with your glassware or fragile items. Have a few cheap mats ready to swap in a out for the movers to wipe their feet on. Or put plastic down the hallways of your home to protect your floor. Keep spare clothes in your car and not packed away, for the adults and children. You do not want a wet and soggy child with no spare clothes, same goes for yourself. Make sure you tell your friends and family the move date and new address. This way you won’t have any cards or gifts sent to your old address. A good way to do this is to send out early Christmas cards yourself with the new address and move date. Check out your new local area and see if any shops are closed for the holidays. Make sure to grab the numbers of take-away ships that will be open on your move date. Don’t even think about cooking on your moving day. You will be tired and probably not in the mood to prepare any food. Make it easy on everybody (especially the cook) and get take-away. On your moving schedule be sure to add your utility companies the the list. Notify them when you are going to move. This will mean you new home is will have heat and electricity ad you utilities shut off at your old place. It sounds simple, but actually its very common in all the move commotion to forget this chore. On the day of your move, have your valuables and keepsakes safe and move them yourself. Don’t risk any chance of loss or damage with the movers. Use a spare bag or piece of luggage and keep it with you on the day of the move. When at your new home, pop the bag in a room that will be untouched for most of the day, for instance the loft or en-suite. This way you will not mix it up with other boxes or bags. The last thing you want on moving day is to think you have lost your most treasured possessions. Most important of don’t let the spirit of the holidays get left behind. What an exciting time of year to move and start a new beginning. Accept that at times it will become stressful, but remember it is temporary. Try to make a concerted effort to keep your cool. If you feel yourself getting stressed think of a way to combat this. Remember you are in charge of your move, if you need to slow things down for a little bit to take a rest, that’s your prerogative. Try these stress relieving tips. Make your move over the Christmas holidays stress free and settle in your new home in time for the holidays. Wake up Christmas morning to presents and cheer, not mess and confusion.